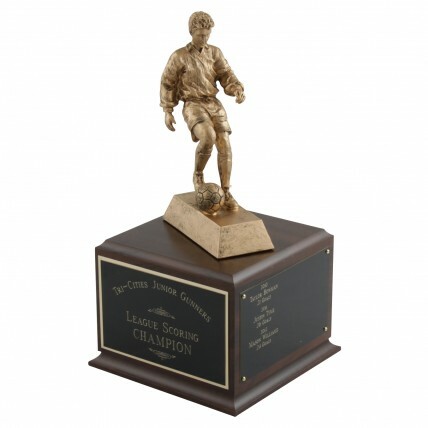 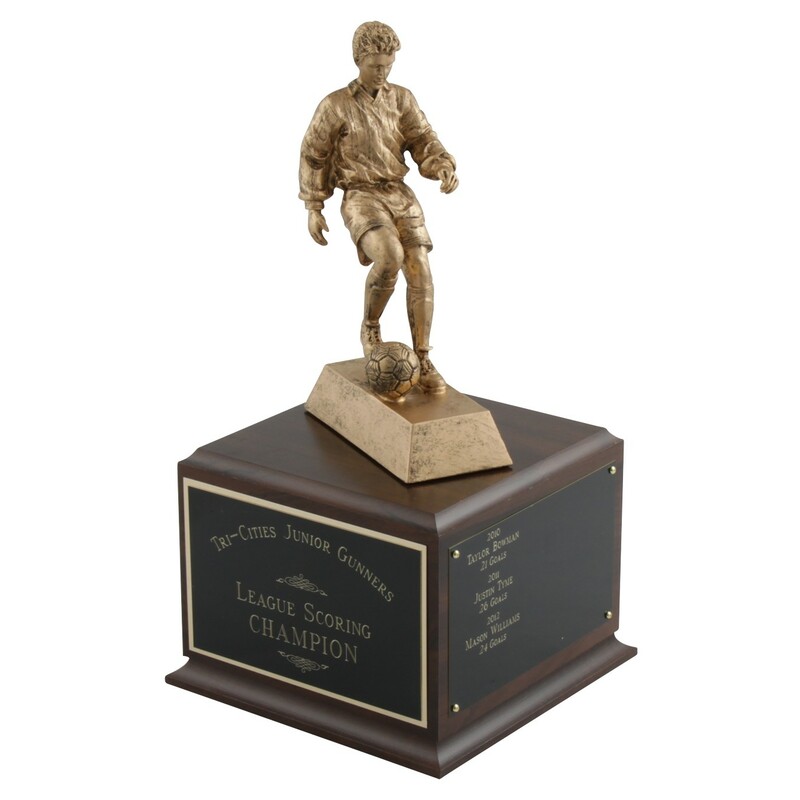 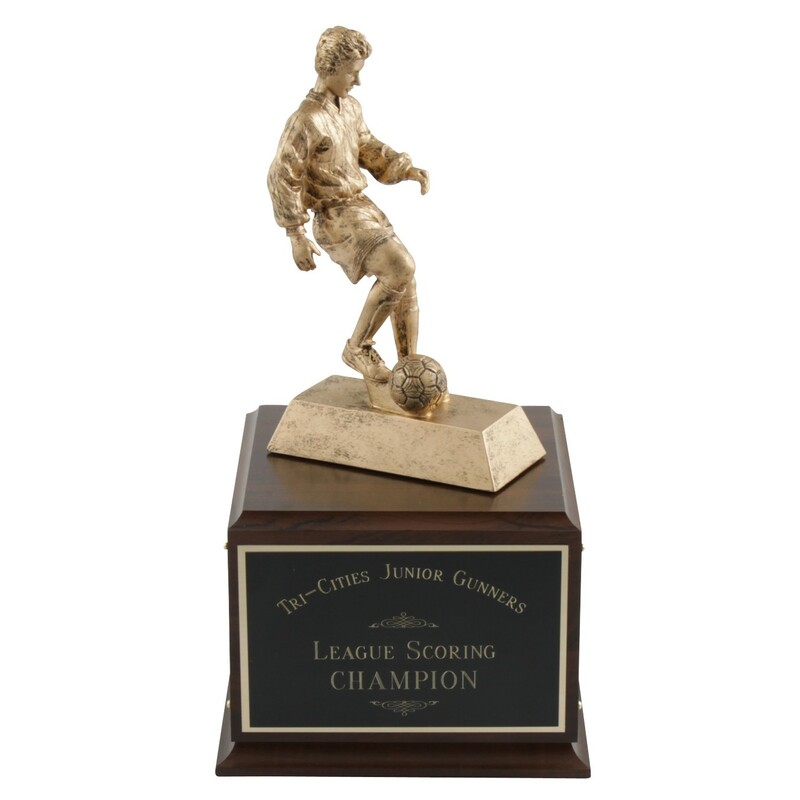 Designed for years of use, create legacy with the Perpetual Soccer Trophy! 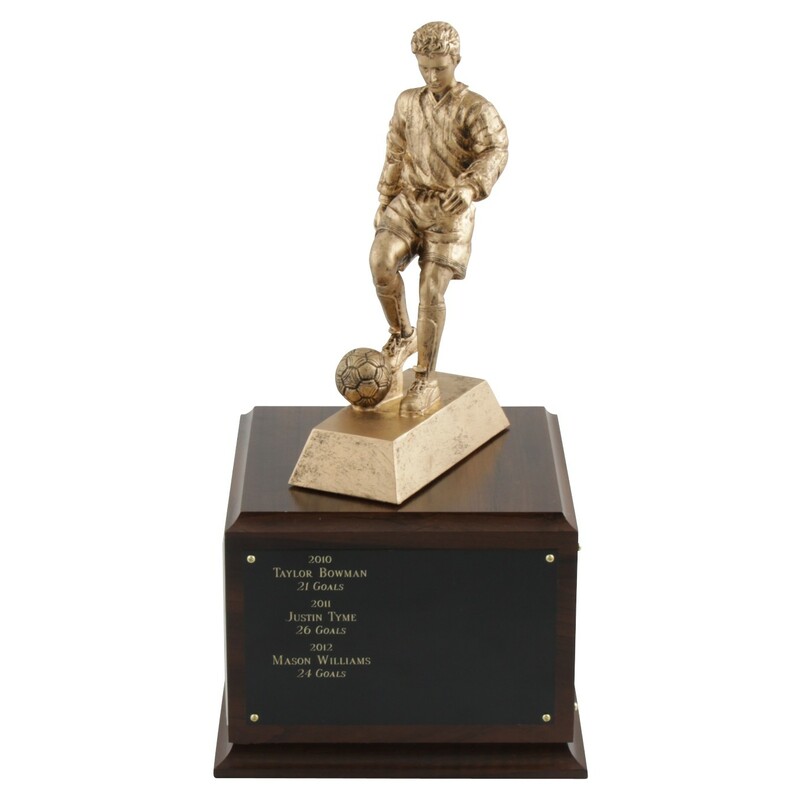 In your choice of male or female, the soccer player on top is made of resin which looks like bronze. 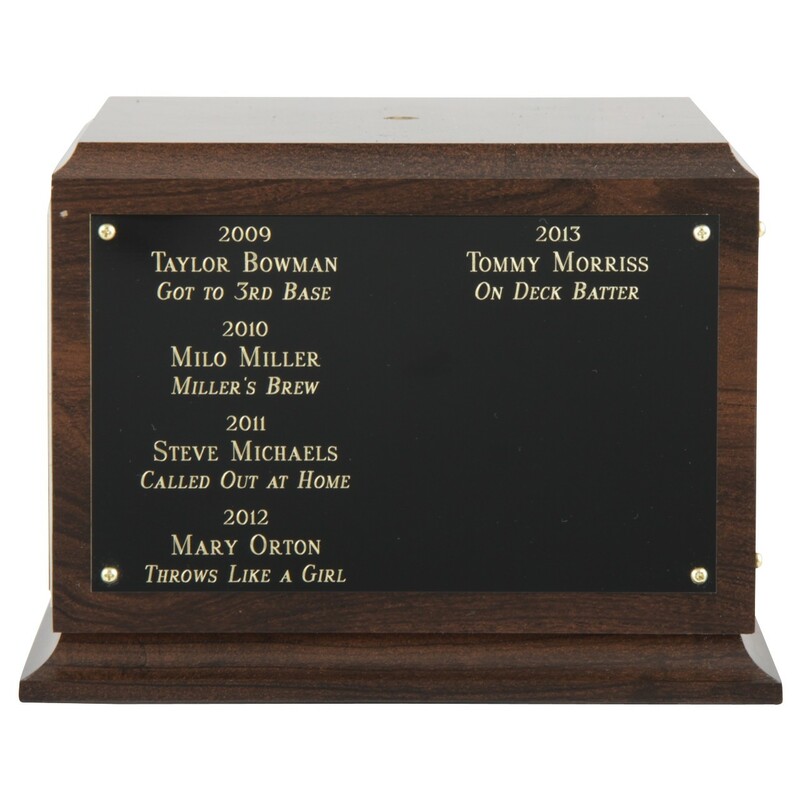 The front plate of the base includes your league name and information; the additional three side plates are an option and can be engraved with each year's champions (each side can fit 6-8 years).